Join us at 5 p.m. for pregame at The Ainsworth! 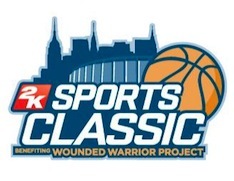 The Alabama men's basketball team is back at Madison Square Garden to participate in the championship rounds of the 18th annual 2K Sports Classic benefiting Wounded Warrior Project. Click here to purchase tickets (Use Offer Code: Tide). Make sure to use the offer code to have your tickets placed in the UANYC seating block. UANYC is hosting a pregame gathering for all Alabama fans from 5-6:45 p.m. at The Ainsworth (122 West 26th Street between 6th and 7th Avenues), which just 5.5 blocks away from Madison Square Garden.